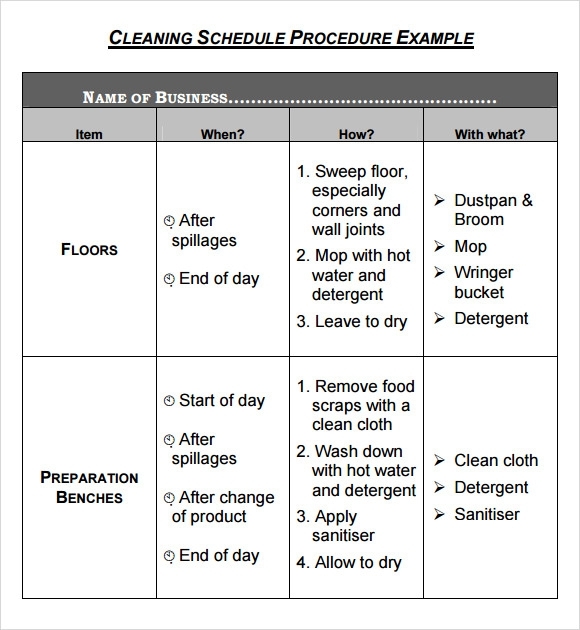 To maintain a certain place, room or equipment be dirt-free and sanitary, Cleaning Schedule is set to regularly do the maintenance of a particular place and assigned the person who will do the task for a particular period of time; this timetable tool needs to be followed in order to have a place be at its cleanest and show the instructions to achieve the desired result. This is a standard MS Word compatible template that can be used in houses or hotels. This enlist the chores to be done and the days of a week entered in the columns and rows of the table constructed. This template is a simple table made for daily purpose. The chores to be completed are entered into the first column and in the corresponding rows a tick mark is entered when the specific work is done. This template can be easily edited each day and provides space to fill in the name of the area to be cleaned. 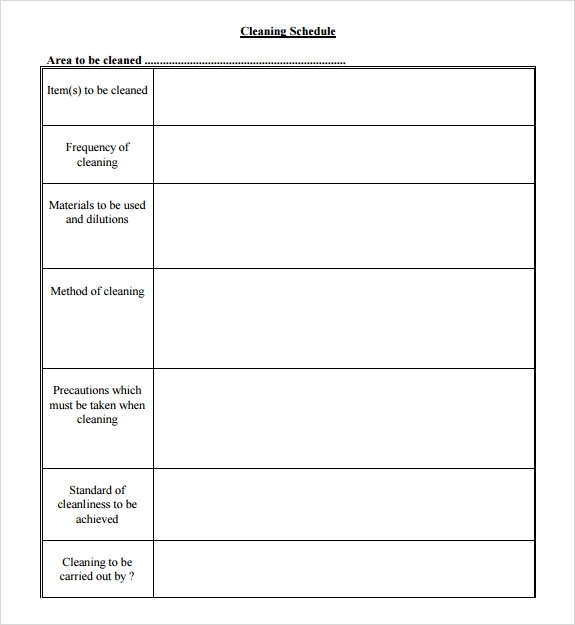 This can be used for creating and circulating information manual regarding the procedure of each chore for cleaning professionals. 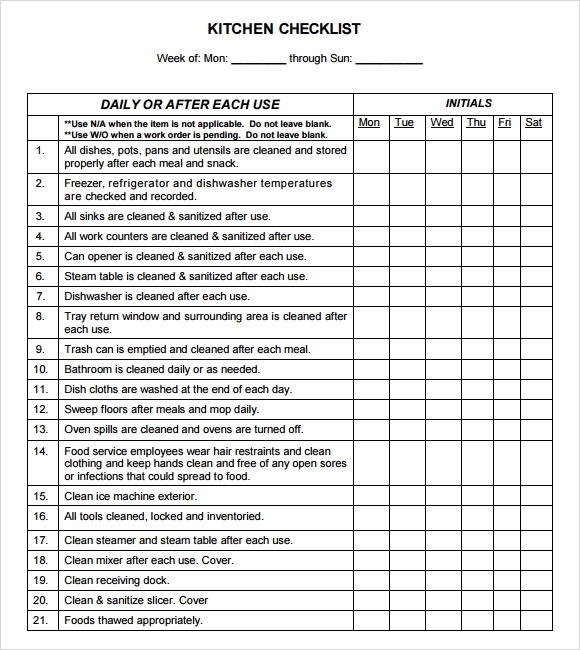 This template consists of a table bearing the chores to be completed against its timing, procedure and miscellaneous information. It is compatible with MS Office and accessible using PDF as well. This template is required in bilk supply to household kitchens. Easily created using MS Excel, this simply lists the various activities to be done before and after food is cooked in the kitchen. The remaining cells are filled with tick marks on a daily, weekly or monthly basis and the last column is attributed to details of the worker. When To Use A Cleaning Schedule Template? How To Use Cleaning Schedule Template? It is very important to have an organized schedule worked out for cleaning workers or housemakers, in order to save time and energy. Employing a template for this purpose makes the planning and execution easier. Visit a relevant website, choose a template and download. Make changes umpteen times, customize according to your preference, add specifications or icons, the template then is ready to be printed in multiple copies and circulated. The template simply is made up of tables or spreadsheet that are easy to use without guidance. To lend it a neat look maintains enough space and visible font style and size. 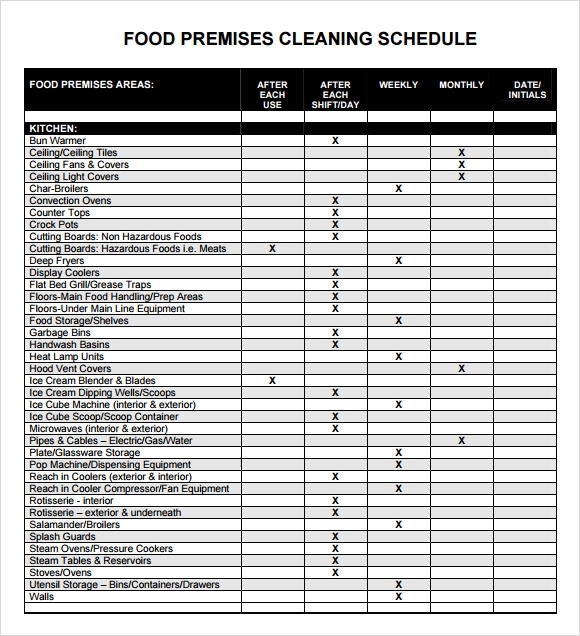 Why To Use A Cleaning Schedule Template? There are multiple pros of this template. With loads of work to be done in few hours, an organized schedule will be of great help to prevent confusions. Manually charting this out can be frustrating and stressful especially if it needs to be done on a daily basis. The template on the other hand is created with the basic layout retained on every use along with the scope of adding or deleting cells and data entries. 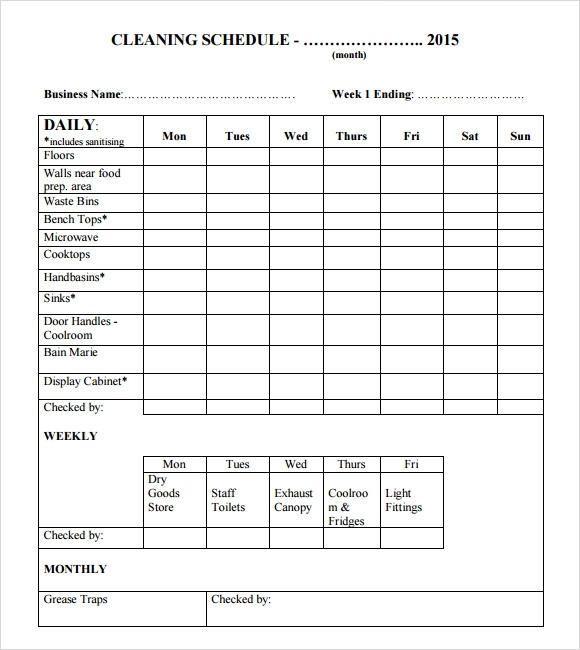 With the multitude of cleaning chores in a family or hotel or office this template ensures that the same attribute isn’t being repeated and that a single person isn’t performing all the chores. Plan your day’s work hustle free using this MS Word and Excel compatible template.